New York, here we come. Kevin and I lived in Queens while he was specializing in Pediatric Dentistry. We made good friends. One family Kevin trained with is also coming to the conference. She asked her kids what they would like to see and they answered: Empire State Building, Bronx Zoo, and Statue of Liberty. Somehow they know what is in NYC. I asked my kids what they would like to do there. We have read a couple stories and I made them watch a couple movies taking place there. 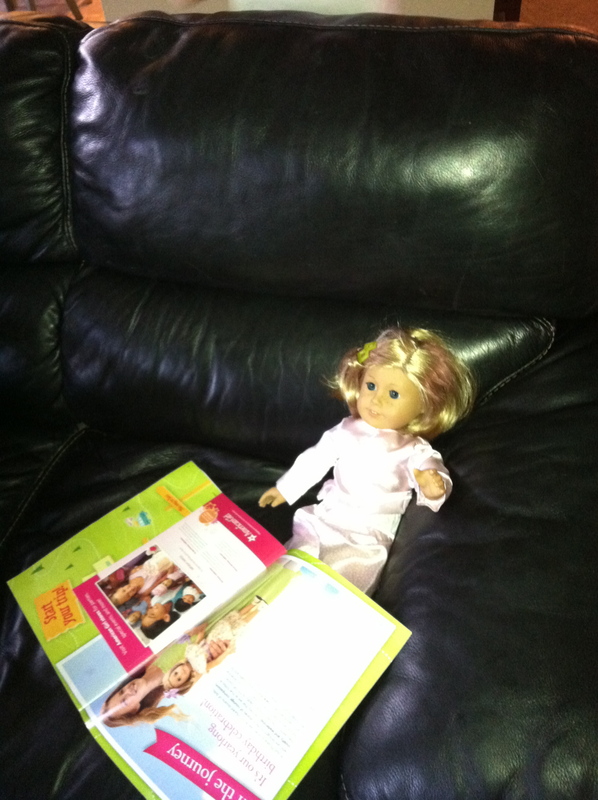 #2 wants to visit the American Girl Doll store and bring Kit and spend her college savings plan. #2 let Kit pick out things she wants when they go shopping together. #1 would like to go to every single museum they have there. #3 wants to have fun. The boys really don’t care what we do as long as they get to see dinosaur bones and eat a fish head in Chinatown. I could drive an hour and do both. I am trying to give them amazing cultural experiences and broaden their horizons and make sure they eat diverse foods and meet diverse people (I take my three year old to Spanish class twice a week for forty-five minutes. I’m not sure what my goal is here.) I think it is amazing how much effort parents put into raising their kids. Or at least how much effort I am putting into giving my kids experiences to become better people. I am hoping one of these experiences will teach them how to sit next to each other in the car without touching each other. This entry was posted in Uncategorized and tagged mom, traveling, vacation. Bookmark the permalink. You’re bringing the kids? Wow. I’d love to see NYC. Someday. I’m boldly predicting in the next year. I just want to walk and walk and stare. James was born there. People want to see him. I am obliging and throwing in two extra. I wish more parents would offer educational experiences and cultural diversity to their children. I often use this as an excuse for many of our trips but hey, it’s true and I’d like to think that they are better for it! Remember to place Chinatown on the list. Plenty of fish heads there!